Design and movement met in this fun family workshop. Children designed their own graphic balls, which they afterwards tested in KU.BE’s intriguing architecture as well as in the outdoor zones. We never stop being amazed and happy about how much children love to create and build their own design. 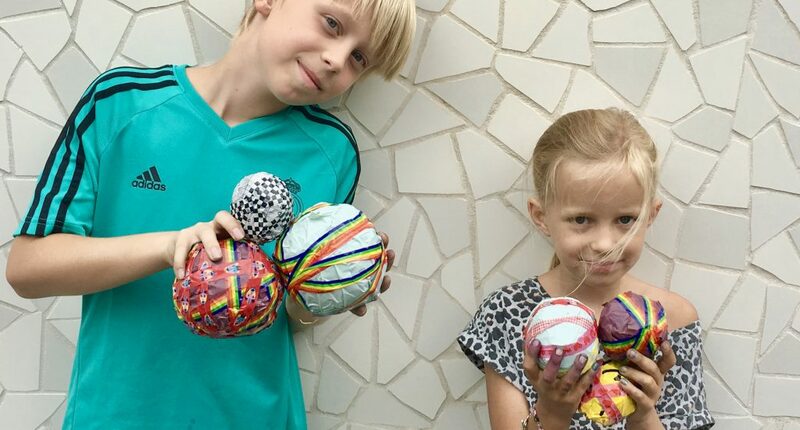 Making your own things such as a special ball made of recycle and everyday materials and inventing your own games gives children a special joy and pride. Thank you to all the families and children who shared so many fun hours with us at KU.BE.